Like the Isavasya, this Upanishad derives its name from the opening word of the text, Kena-ishitam, "by whom directed." It is also known as the Talavakara-Upanishad because of its place as a chapter in the Talavakara-Brahmana of the Sama-Veda. Among the Upanishads it is one of the most analytical and metaphysical, its purpose being to lead the mind from the gross to the subtle, from effect to cause. By a series of profound questions and answers, it seeks to locate the source of man's being; and to expand his self-consciousness until it has become identical with God-Consciousness. May my limbs, speech, Prana (life-force), sight, hearing, strength and all my senses, gain in vigor. All is the Brahman (Supreme Lord) of the Upanishads. May I never deny the Brahman. May the Brahman never deny me. May there be no denial of the Brahman. May there be no separation from the Brahman. May all the virtues declared in the sacred Upanishads be manifest in me, who am devoted to the Atman (Higher Self). May they be manifest in me. I. By whom commanded and directed does the mind go towards its objects? Commanded by whom does the life-force, the first (cause), move? At whose will do men utter speech? What power directs the eye and the ear? II. It is the ear of the ear, the mind of the mind, the speech of the speech, the life of the life, the eye of the eye. The wise, freed (from the senses and from mortal desires), after leaving this world, become immortal. An ordinary man hears, sees, thinks, but he is satisfied to know only as much as can be known through the senses; he does not analyze and try to find that which stands behind the ear or eye or mind. He is completely identified with his external nature. His conception does not go beyond the little circle of his bodily life, which concerns the outer man only. He has no consciousness of that which enables his senses and organs to perform their tasks. There is a vast difference between the manifested form and That which is manifested through the form. When we know That, we shall not die with the body. One who clings to the senses and to things that are ephemeral, must die many deaths, but that man who knows the eye of the eye, the ear of the ear, having severed himself from his physical nature, becomes immortal. Immortality is attained when man transcends his apparent nature and finds that subtle, eternal and inexhaustible essence which is within him. III. There the eye does not go, nor speech, nor mind. We do not know That; we do not understand how It can be taught. It is distinct from the known and also It is beyond the unknown. Thus we have heard from the ancient (teachers) who told us about It. These physical eyes are unable to perceive that subtle essence. Nor can it be expressed by finite language or known by finite intelligence, because it is infinite. Our conception of knowing finite things is to know their name and form; but knowledge of God must be distinct from such knowledge. This is why some declare God to be unknown and unknowable; because He is far more than eye or mind or speech can perceive, comprehend or express. The Upanishad does not say that He cannot be known. He is unknowable to man's finite nature. How can a finite mortal apprehend the Infinite Whole? But He can be known by man's God-like nature. IV. That which speech does not illumine, but which illumines speech: know that alone to be the Brahman (the Supreme Being), not this which people worship here. V. That which cannot be thought by mind, but by which, they say, mind is able to think: know that alone to be the Brahman, not this which people worship here. VI. That which is not seen by the eye, but by which the eye is able to see: know that alone to be the Brahman, not this which people worship here. VII. That which cannot be heard by the ear, but by which the ear is able to hear: know that alone to be Brahman, not this which people worship here. VIII. That which none breathes with the breath, but by which breath is in-breathed: know that alone to be the Brahman, not this which people worship here. Ordinarily we know three states of consciousness only,--waking, dreaming and sleeping. There is, however, a fourth state, the superconscious, which transcends these. In the first three states the mind is not clear enough to save us from error; but in the fourth state it gains such purity of vision that it can perceive the Divine. If God could be known by the limited mind and senses, then God-knowledge would be like any other knowledge and spiritual science like any physical science. He can be known, however, by the purified mind only. Therefore to know God, man must purify himself. The mind described in the Upanishads is the superconscious mind. According to the Vedic Sages the mind in its ordinary state is only another sense organ. This mind is limited, but when it becomes illumined by the light of the Cosmic Intelligence, or the "mind of the mind," then it is able to apprehend the First Cause or That which stands behind all external activities. I. If thou thinkest "I know It well," then it is certain that thou knowest but little of the Brahman (Absolute Truth), or in what form He (resideth) in the Devas (minor aspects of Deity). Therefore I think that what thou thinkest to be known is still to be sought after. Having given the definition of the real Self or Brahman, by which mortals are able to see, hear, feel and think, the teacher was afraid that the disciple, after merely hearing about It, might conclude that he knew It. So he said to him: "You have heard about It, but that is not enough. You must experience It. Mere intellectual recognition will not give you true knowledge of It. Neither can It be taught to you. The teacher can only show the way. You must find It for yourself." Knowledge means union between subject and object. To gain this union one must practice, theory cannot help us. The previous chapter has shown that the knowledge of Brahman is beyond sense-perception: "There the eye does not go, nor speech, nor mind." "That is distinct from known and also It is beyond the unknown." Therefore it was necessary for the teacher to remind the disciple that knowledge based on sense-perception or intellectual apprehension should not be confounded with supersensuous knowledge. Although the disciple had listened to the teacher with unquestioning mind and was intellectually convinced of the truth of his words, it was now necessary for him to prove by his own experience what he had heard. 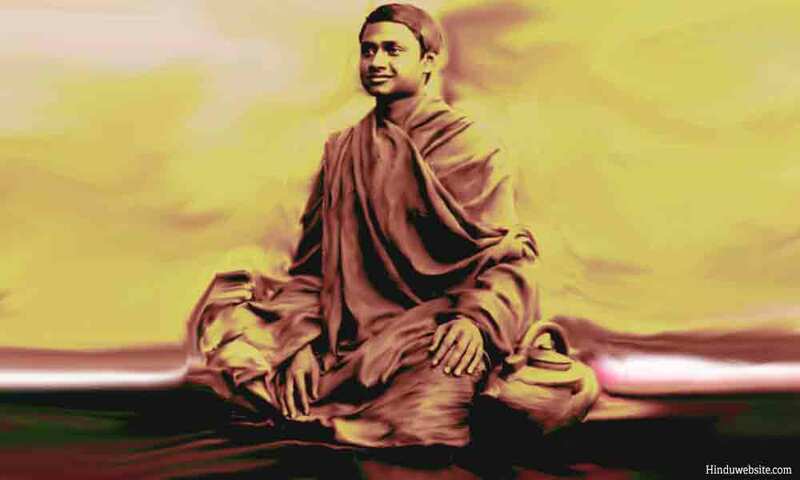 Guided by the teacher, he sought within himself through meditation the meaning of Brahman; and having gained a new vision, he approached the teacher once more. II. The disciple said: I do not think I know It well, nor do I think that I do not know It. He among us who knows It truly, knows (what is meant by) "I know" and also what is meant by "I know It not." This appears to be contradictory, but it is not. In the previous chapter we learned that Brahman is "distinct from the known" and "beyond the unknown." The disciple, realizing this, says: "So far as mortal conception is concerned, I do not think I know, because I understand that It is beyond mind and speech; yet from the higher point of view, I cannot say that I do not know; for the very fact that I exist, that I can seek It, shows that I know; for It is the source of my being. I do not know, however, in the sense of knowing the whole Infinite Ocean of existence." The word knowledge is used ordinarily to signify acquaintance with phenomena only, but man must transcend this relative knowledge before he can have a clear conception of God. One who wishes to attain Soul-consciousness must rise above matter. The observation of material science being confined to the sense plane, it ignores what is beyond. Therefore it must always be limited and subject to change. It discovered atoms, then it went further and discovered electrons, and when it had found the one, it had to drop the other; so this kind of knowledge can never lead to the ultimate knowledge of the Infinite, because it is exclusive and not inclusive. Spiritual science is not merely a question of mind and brain, it depends on the awakening of our latent higher consciousness. III. He who thinks he knows It not, knows It. He who thinks he knows It, knows It not. The true knowers think they can never know It (because of Its infinitude), while the ignorant think they know It. By this text the teacher confirms the idea that Brahman is unthinkable, because unconditioned. Therefore he says: He who considers It beyond thought, beyond sense-perception, beyond mind and speech, he alone has a true understanding of Brahman. They who judge a living being from his external form and sense faculties, know him not; because the real Self of man is not manifested in his seeing, hearing, speaking. His real Self is that within by which he hears and speaks and sees. In the same way he knows not Brahman who thinks he knows It by name and form. The arrogant and foolish man thinks he knows everything; but the true knower is humble. He says: "How can I know Thee, who art Infinite and beyond mind and speech?" In the last portion of the text, the teacher draws an impressive contrast between the attitude of the wise man who knows, but thinks he does not know; and that of the ignorant who does not know, but thinks he knows. IV. It (Brahman) is known, when It is known in every state of consciousness. (Through such knowledge) one attains immortality. By attaining this Self, man gains strength; and by Self-knowledge immortality is attained. We have learned from the previous text that the Brahman is unknown to those whose knowledge is limited to sense experience; but He is not unknown to those whose purified intelligence perceives Him as the basis of all states of consciousness and the essence of all things. By this higher knowledge a man attains immortality, because he knows that although his body may decay and die, the subtle essence of his being remains untouched. Such an one also acquires unlimited strength, because he identifies himself with the ultimate Source. The strength which comes from one's own muscle and brain or from one's individual power must be limited and mortal and therefore cannot lift one beyond death; but through the strength which Atma-gnana or Self-knowledge gives, immortality is reached. Whenever knowledge is based on direct perception of this undying essence, one transcends all fear of death and becomes immortal. V. If one knows It here, that is Truth; if one knows It not here, then great is his loss. The wise seeing the same Self in all beings, being liberated from this world, become immortal. I. The Brahman once won a victory for the Devas. Through that victory of the Brahman, the Devas became elated. They thought, "This victory is ours. This glory is ours." Brahman here does not mean a personal Deity. There is a Brahma, the first person of the Hindu Trinity; but Brahman is the Absolute, the One without a second, the essence of all. There are different names and forms which represent certain personal aspects of Divinity, such as Brahma the Creator, Vishnu the Preserver and Siva the Transformer; but no one of these can fully represent the Whole. Brahman is the vast ocean of being, on which rise numberless ripples and waves of manifestation. From the smallest atomic form to a Deva or an angel, all spring from that limitless ocean of Brahman, the inexhaustible Source of life. No manifested form of life can be independent of its source, just as no wave, however mighty, can be independent of the ocean. Nothing moves without that Power. He is the only Doer. But the Devas thought: "This victory is ours, this glory is ours." II. The Brahman perceived this and appeared before them. They did not know what mysterious form it was. III. They said to Fire: "O Jataveda (All-knowing)! Find out what mysterious spirit this is." He said: "Yes." IV. He ran towards it and He (Brahman) said to him: "Who art thou?" "I am Agni, I am Jataveda," he (the Fire-god) replied. V. Brahman asked: "What power resides in thee?" Agni replied: "I can burn up all whatsoever exists on earth." VI. Brahman placed a straw before him and said: "Burn this." He (Agni) rushed towards it with all speed, but was not able to burn it. So he returned from there and said (to the Devas): "I was not able to find out what this great mystery is." VII. Then they said to Vayu (the Air-god): "Vayu! Find out what this mystery is." He said: "Yes." VIII. He ran towards it and He (Brahman) said to him: "Who art thou?" "I am Vayu, I am Matarisva (traveller of Heaven)," he (Vayu) said. IX. Then the Brahman said: "What power is in thee?" Vayu replied: "I can blow away all whatsoever exists on earth." X. Brahman placed a straw before him and said: "Blow this away." He (Vayu) rushed towards it with all speed, but was not able to blow it away. So he returned from there and said (to the Devas): "I was not able to find out what this great mystery is." XI. Then they said to Indra: "O Maghavan (Worshipful One)! Find out what this mystery is." He said: "Yes"; and ran towards it, but it disappeared before him. XII. Then he saw in that very space a woman beautifully adorned, Uma of golden hue, daughter of Haimavat (Himalaya). He asked: "What is this great mystery?" Here we see how the Absolute assumes concrete form to give knowledge of Himself to the earnest seeker. Brahman, the impenetrable mystery, disappeared and in His place appeared a personal form to represent Him. This is a subtle way of showing the difference between the Absolute and the personal aspects of Deity. The Absolute is declared to be unknowable and unthinkable, but He assumes deified personal aspects to make Himself known to His devotees. Thus Uma, daughter of the Himalaya, represents that personal aspect as the offspring of the Infinite Being; while the Himalaya stands as the symbol of the Eternal, Unchangeable One. I. She (Uma) said: "It is Brahman. It is through the victory of Brahman that ye are victorious." Then from her words, he (Indra) knew that it (that mysterious form) was Brahman. Uma replied to Indra, "It is to Brahman that you owe your victory. It is through His power that you live and act. He is the agent and you are all only instruments in His hands. Therefore your idea that 'This victory is ours, this glory is ours,' is based on ignorance." At once Indra saw their mistake. The Devas, being puffed up with vanity, had thought they themselves had achieved the victory, whereas it was Brahman; for not even a blade of grass can move without His command. II. Therefore these Devas,--Agni, Vayu and Indra--excel other Devas, because they came nearer to Brahman. It was they who first knew this spirit as Brahman. III. Therefore Indra excels all other Devas, because he came nearest to Brahman, and because he first (before all others) knew this spirit as Brahman. Agni, Vayu and Indra were superior to the other Devas because they gained a closer vision; and they were able to do this because they were purer; while Indra stands as the head of the Devas, because he realized the Truth directly, he reached Brahman. The significance of this is that whoever comes in direct touch with Brahman or the Supreme is glorified. IV. Thus the teaching of Brahman is here illustrated in regard to the Devas. He dashed like lightning, and appeared and disappeared just as the eye winks. The teaching as regards the Devas was that Brahman is the only Doer. He had appeared before them in a mysterious form; but the whole of the unfathomable Brahman could not be seen in any definite form; so at the moment of vanishing, He manifested more of His immeasurable glory and fleetness of action by a sudden dazzling flash of light. V. Next (the teaching) is regarding Adhyatman (the embodied Soul). The mind seems to approach Him (Brahman). By this mind (the seeker) again and again remembers and thinks about Brahman. Only by the mind can the seeker after knowledge approach Brahman, whose nature in glory and speed has been described as like unto a flash of lightning. Mind alone can picture the indescribable Brahman; and mind alone, being swift in its nature, can follow Him. It is through the help of this mind that we can think and meditate on Brahman; and when by constant thought of Him the mind becomes purified, then like a polished mirror it can reflect His Divine Glory. VI. That Brahman is called Tadvanam (object of adoration). He is to be worshipped by the name Tadvanam. He who knows Brahman thus, is loved by all beings. Brahman is the object of adoration and the goal of all beings. For this reason he should be worshipped and meditated upon as Tadvanam. Whoever knows Him in this aspect becomes one with Him, and serves as a clear channel through which the blessings of Brahman flow out to others. The knower of God partakes of all His lovable qualities and is therefore loved by all true devotees. VII. The disciple asked: O Master, teach me the Upanishad. (The teacher replied:) The Upanishad has been taught thee. We have certainly taught thee the Upanishad about Brahman. VIII. The Upanishad is based on tapas (practice of the control of body, mind and senses), dama (subjugation of the senses), karma (right performance of prescribed actions). The Vedas are its limbs. Truth is its support. IX. He who knows this (wisdom of the Upanishad), having been cleansed of all sin, becomes established in the blissful, eternal and highest abode of Brahman, in the highest abode of Brahman. This Upanishad is called Kena, because it begins with the inquiry: "By whom" (Kena) willed or directed does the mind go towards its object? From whom comes life? What enables man to speak, to hear and see? And the teacher in reply gives him the definition of Brahman, the Source and Basis of existence. The spirit of the Upanishads is always to show that no matter where we look or what we see or feel in the visible world, it all proceeds from one Source. The prevailing note of all Vedic teaching is this: One tremendous Whole becoming the world, and again the world merging in that Whole. It also strives in various ways to define that Source, knowing which all else is known and without which no knowledge can be well established. So here the teacher replies: That which is the eye of the eye, the ear of the ear, that is the inexhaustible river of being which flows on eternally; while bubbles of creation rise on the surface, live for a time, then burst. The teacher, however, warns the disciple that this eye, ear, mind, can never perceive It; for It is that which illumines speech and mind, which enables eye and ear and all sense-faculties to perform their tasks. "It is distinct from the known and also It is beyond the unknown." He who thinks he knows It, knows It not; because It is never known by those who believe that It can be grasped by the intellect or by the senses; but It can be known by him who knows It as the basis of all consciousness. The knower of Truth says, "I know It not," because he realizes the unbounded, infinite nature of the Supreme. "Thou art this (the visible), Thou art That (the invisible), and Thou art all that is beyond," he declares. The ordinary idea of knowledge is that which is based on sense preceptions; but the knowledge of an illumined Sage is not confined to his senses. He has all the knowledge that comes from the senses and all that comes from Spirit. The special purpose of this Upanishad is to give us the knowledge of the Real, that we may not come under the dominion of the ego by identifying ourselves with our body, mind and senses. Mortals become mortals because they fall under the sway of ego and depend on their own limited physical and mental strength. The lesson of the parable of the Devas and Brahman is that there is no real power, no real doer except God. He is the eye of the eye, the ear of the ear; and eyes, ears, and all our faculties have no power independent of Him. When we thus realize Him as the underlying Reality of our being, we transcend death and become immortal. Source: The Upanishads Translated and Commentated by Swami Paramananda From the Original Sanskrit Text, 1919. While we have made every effort to reproduce the text correctly, we do not guarantee or accept any responsibility for any errors or omissions or inaccuracies in the reproduction of this text.